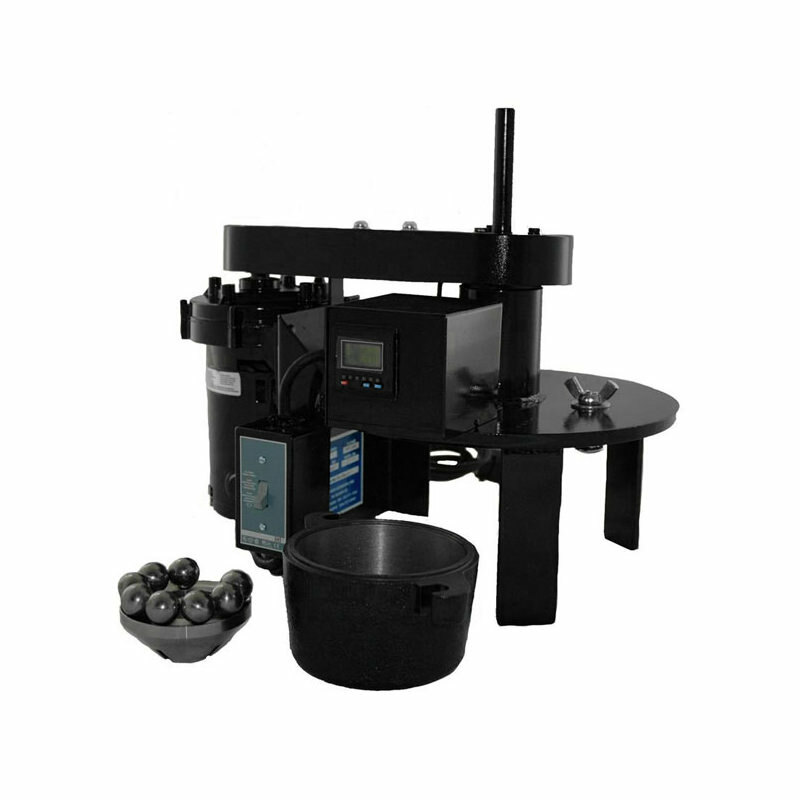 The Hardgrove Grindability Tester is used for determining the grindability of coal, petroleum coke and for ascertaining the ease of pulverization of a wide variety of materials. The method and instrument have been adopted as a Standard by the ASTM under D409-X,and is proposed by ISO standards. The Hardgrove grindability Tester is essentially a miniature pulverizer, employing the ball bearing principle of grinding. Eight 1 inch balls roll in a stationary ring and are driven from above by a rotating ring. A constant known pressure is applied by weights to the upper ring. During this process a counter determines the number of revolutions the upper ring has made, and the automatically cuts off the motor driving the ring after 60 of revolutions has been obtained. The Hardgrove Tester gives reproducible results because the work done on the sample is so closely controlled. Since the sample is always in the path of the rolling balls, the energy is evenly distributed throughout the sample. There is no cushioning effect by the fines as the grinding operation is not carried far enough, thereby eliminates the problem of scavenging. The Hardgrove Grindability Tester is simple and clean operating. No sample is lost because the pulverizing takes place in a closed compartment. After releasing the lower portion of the grinding unit by the 2 thumbscrews, it can be removed and cleaned with a brush. The Hardgrove Grindability Tester comes complete with full directions, automatic revolution control switch, weights, built in gear reduction motor and a sample of standard coal.